Jason Thibeault defines marketing and technology strategy for public high-tech companies. Jason played a central role in Limelight Network's market. 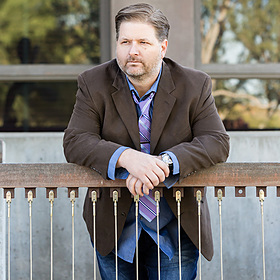 Jason is a Sr. Director, Content Marketing in Gilbert AZ. Visit Amazon.com's Jason Thibeault Page and shop for all Jason Thibeault books. Check out pictures, bibliography, and biography of Jason Thibeault. Jason Thibeault, Author and Thinker, Gilbert, AZ. 89 likes · 1 talking about this. Versatile writer: technology, social, reviews, positioning, branding, punditry. Wordsmith extraordinaire! Ramblings from the personal life of Jason Thibeault. Explore Jason Thibeault's 42 photos on Flickr! ... Jason Thibeault. Follow. _JasonThibeault. 14 Followers•10 Following. 42 Photos. Gilbert, AZ, USA. Hi, I'm Jason Thibeault, the Sr. Director of Marketing Strategy with Limelight Networks and this is my video profile in which I talk a little about. Jason Thibeault Principal Technical Evangelist Limelight Networks. Jason is a reformed serial entrepreneur and college professor turned digital superhero. Jason Thibeault has 39 books on Goodreads with 529 ratings. Jason Thibeault's most popular book is Recommend This! : Delivering Digital Experiences That P.. Recommend This! [Jason Thibeault] Rahva Raamatust. Shipping from 24h. Feb 26, 2015 - Jason Thibeault is raising funds for An Ordinary Magic: A Novel on Kickstarter! Please help me publish a powerful work of literary fiction. Visit Amazon.co.uk's Jason Thibeault Page and shop for all Jason Thibeault books. Check out pictures, bibliography, and biography of Jason Thibeault. Apr 21, 2016 - SVG sat down with Senior Director of Content Marketing Jason Thibeault at the show to discuss how Limelight Networks is “growing up,” why 4K doesn't hold the promise that 8K does, and how CDNs will hold up to the increasing number of fans looking to consume sporting events on their mobile devices. StreamingMediaGlobal.com is the #1 destination for professionals seeking streaming and online industry news, information, articles, directories and services. USPTO patent applications submitted by and patents granted to Jason Thibeault. The first step is to improve your online presence! Jason Thibeault shares some tips on how to achieve this in this spotlight on IMS. Take your online video efforts to the next level! Here's how to create memorable videos that your customers will watch, connect with, and share with friends. See what Jason Thibeault (jasonthibeault) has discovered on Pinterest, the world's biggest collection of everybody's favorite things.